Welcome to Derogatory Credit Can't Stop You Part 6 with Eric L .Frazier MBA. Learn about FHA guideline regarding debt and many other obligation that you think may stop you from buying a home. Derogatory Credit and/or debt can't stop you from buying a home. Watch and learn. 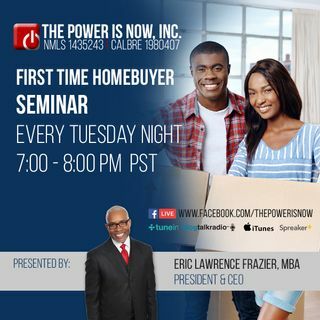 To learn more about our Real Estate and Mortgage programs, visit our website (thepowerisnow.com) and schedule an appointment! Use the tool provided in the footer of our website and you can book your free ... See More appointment immediately.